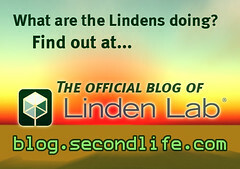 A warm welcome to the Official Linden Blog, where we, the employees of Linden Lab, write about Second Life and related topics of interest. We love connecting with our community and value tolerance and free expression! We’ve been getting lots of questions about how we moderate our comments. The goal of this blog is to create a complex, nuanced, civil discussion. Comments will be posted when they contribute by adding information, opinions and ideas. Negative or contrary opinions are welcome as long as they don’t violate the common rules of netiquette. Those that do will be deleted. Due to time constraints because of all the other work we need to do, we’re unable to reply to questions about why a comment might have been moderated, or why someone was blocked for posting multiple inappropriate comments. Why are comments closed on some blog posts? This blog has posts in a variety of categories, and we open many up for commentary because we welcome feedback. However, some posts — like service status updates — are simply for informational purposes, while on others, we welcome feedback through another means of contact specified in the post. To focus appropriately when feedback isn’t needed, comments will be closed on a post.